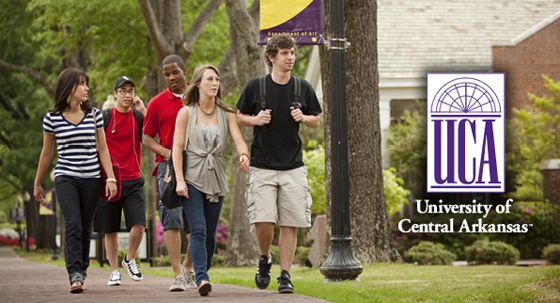 University of Central Arkansas students stroll across the UCA campus. 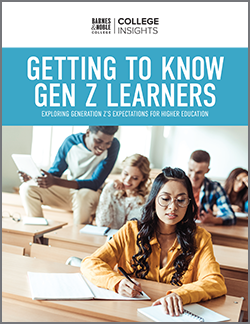 High school students across America are busy visiting college and university campuses to help them make their final decision about where to attend school in the fall. Making such a monumental decision can be a “bear,” but at the University of Central Arkansas (UCA), an informative program aims to simplify the process. Held four times in the fall and twice in the spring, Bear Facts Day (named for the school’s mascot) offers prospective students and their parents an opportunity to meet current UCA students, faculty and administration during an exciting campus preview. The day kicks off with a Bear Fair and registration, followed by informational sessions on academic programs, admissions, housing, financial aid, scholarships, and support services. Bear Facts Day concludes tours of the University’s appealing campus, housing and facilities. University of Central Arkansas students show their UCA Bear pride. 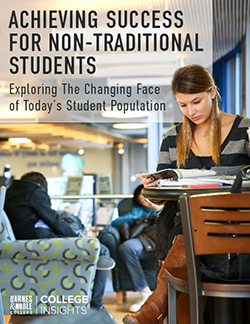 Between 400-500 students attend each session, making the campus a busy and lively place. One stop on the afternoon tour is the UCA Bookstore, housed in the University’s Student Center.